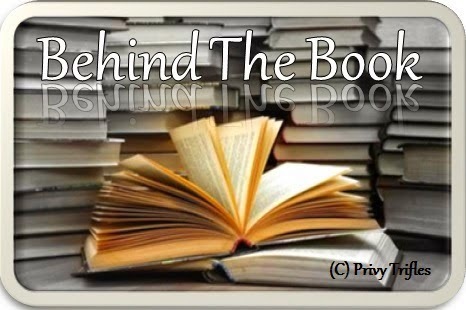 Today at Behind The Book we have Ms. Shilpa Suraj the Mills & Boon author who has made her debut this year with not one but two romance novels that touch your heart. You can read their reviews here : Rescued by Love | The Girl He left behind. Shilpa was a year and a half when she was first introduced to the world of books. Her mother would park her with a picture book on the floor of the kitchen while she finished her cooking for the day. While it’s no longer the kitchen floor, you can still find her tucked away in a cozy nook somewhere with her nose buried in a book. While books in all genres interest her, it was romance that captured her heart. While racing through every romantic fiction book she could beg, borrow or buy, her over active imagination started to work overtime and weave its own stories. 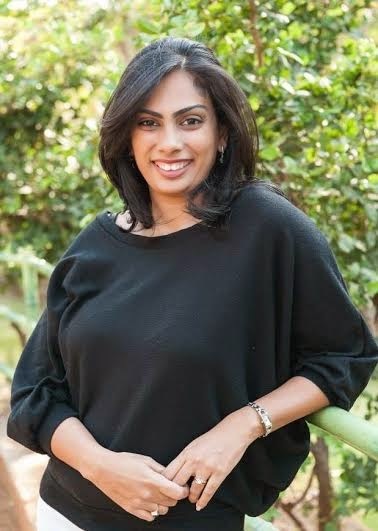 Years in the corporate world followed by a stint of entrepreneurship crystallized her belief that all she really wanted to do was give life to the stories bubbling inside of her. She briefly managed to tear herself away from the world of fiction to find her own personal happily ever after and now spends her time happily focusing on the two loves of her life – family and writing romances. 1. Extending a warm welcome to you at Reviews and Musings , today we would be talking about your debut as Mills and Boons author with not one by two romance titles to your credit – how did this whole thing happen? We would like to know about your journey in becoming a published author, any particular instance (good or bad) that stands out in your mind? Ans: Thank you so much for having me over for a chat! I got published through the traditional route of sending in submissions to the slush pile at Mills and Boon. I sent in the sample chapters, synopsis and bio to the email address mentioned on the website and was beyond excited when I heard back from them. I got an email saying they loved my voice and style of writing and wanted to see more. I was close to finishing my second book at that time and asked them if they would like to take a look at that also. They did and some edits and revisions later I ended up with a two-book contract! I think what stands out more than anything else in my mind is the positive and encouraging feedback I always received from them. It went a long way towards helping me polish my skills. 2. About the moment when you felt you wanted to be a writer. Was it something you cherished since childhood as a dream? Ans: I’ve always loved telling stories and I often toyed with the idea of sitting down and actually writing the stories that kept floating around in my head. I finally got around to it when I accompanied my husband on a short sojourn of six months. Once I started, I haven’t stopped and I’m sure I’ll be typing away at my laptop until my fingers give up on me. 3. In both your stories the women have been very strong protagonists with independent minds of their own, clear, focused and most importantly with a lot of self respect without clinging on to people or for that matter to men they love for support which is a bit unique given the trait of love stories where men are strong and brooding while women are dainty waiting to be rescued. What made you create them like this? Are there traits of you as an individual that you have inputted in them or someone else you admire has been made into these characters? Ans: Growing up, I’ve never been taught by either of my parents to think of any gender as being stronger or weaker. I believe that all people, regardless of gender, are inherently strong. Sometimes, we are lucky enough to be encouraged and taught to recognize and embrace that strength and other times, circumstances bring it to the fore. My heroines are whole, complete individuals who embrace their lives and the choices that have shaped them. They love the heroes and want them in their lives but they don’t need them to rescue or complete them. They’re more than capable of riding to their own rescue and even the heroes if required! 4. Romance being the core for the both the stories, they also have a strong taste of drama with family playing very crucial roles in them instead of it being only romance and passion like typical love stories. Is there something you are trying to convey to your readers through this? Ans: Families play an integral role in shaping the people we are and the choices we make in life. None of us live in a bubble that keeps the world out and I really don’t want my protagonists to live like that either. They are complete individuals because they lead whole, enriched lives and those lives are rich in family and friends. It’s those bonds of affection and love that I believe are the difference between existing and living. 5. Your writings are high on emotions and it is said that reflects the author as an individual. Are you like that in real life too or is that something that comes out only in your writings? Ans: As an individual, I’m extremely private. As an author, I revel in the emotional joyride the characters live through. I definitely let the more emotional and intense side of me shine through in my writing than I do in real life. 6. How different is the author Shilpa Suraj from the real Shilpa Suraj? Do you also believe happily-ever-afters, being swept off the feet, Prince Charmings and love stories that melt your heart exist in real? Ans: I don’t think there is much difference. I believe love exists. I see examples of it every day and they do melt my heart. Relationships are not easy. They’re a lot of work and you have to choose to invest in it every single day and when you do, the dividends are spectacular. Prince Charming may not sweep you off your feet with grand gestures in real life but he might give you a spectacular foot massage after a hard day of you being run off your feet at work. 7. Do we see you experimenting with genres in future or romance it is? Why? Ans: I love writing romance. It is in many ways what comes naturally to me. That doesn’t mean that I won’t try my hand at other genres. I fully intend to explore and expand my horizons in the future. 8. We would like to know about any future projects you are currently working on. Ans: I’m currently writing my third book which is also a contemporary romance. It’s a very different story and I can’t wait to share it with all of you. I promise to keep everyone posted once all the details are finalized. 9. Your advice to all the aspiring authors. Ans: Write! Don’t wait for a specific time to start. The right moment is right now. Irrespective of how hard the struggle is, don’t stop writing. Tell your story because nobody else can. Ans: Thank you. Every single one of you who have read my books, enjoyed and appreciated them have touched my life in a very special way. If you didn’t read my book, I couldn’t write and that’s really what it all turns on. I would love to connect with you so please get in touch on either Facebook , my website or Twitter . Thank you very much for your time , we would like to wish you all the best for all your future projects.